Police have released the incredible 911 audio. A 3-year-old Texas girl is credited with saving her mother's life. Little Dorothy called 911 after her mother, Miranda Craig, had a life threatening seizure. Police have released the amazing 911 call. 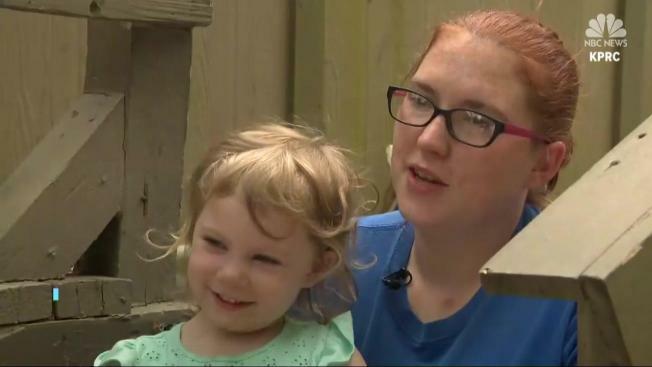 A 3-year-old Texas girl is credited with saving her mother's life. Dorothy called 911 after her mother, Miranda Craig, had a life threatening seizure. Listen to the little hero's incredible call -- released by police -- above. "I am extremely proud. She's my little hero. She's my baby," said Craig. "I suffer from narcolepsy so occasionally I just have episodes where I just pass out." Dorothy stayed on the phone with dispatchers as Liberty County deputies tried to find the home. Using the location of Craig's cellphone, deputies searched the general area from which the call came from, and eventually found her.